I adore brunch. It has fast become my favourite meal of the weekend. Whether I make it in the house or we eat out, I love the variety of foods and flavours you get at this unique meal time. This weekend I visited one of my favourite brunch cafe’s and indulged myself in their self styled ‘bacon and eggs’. 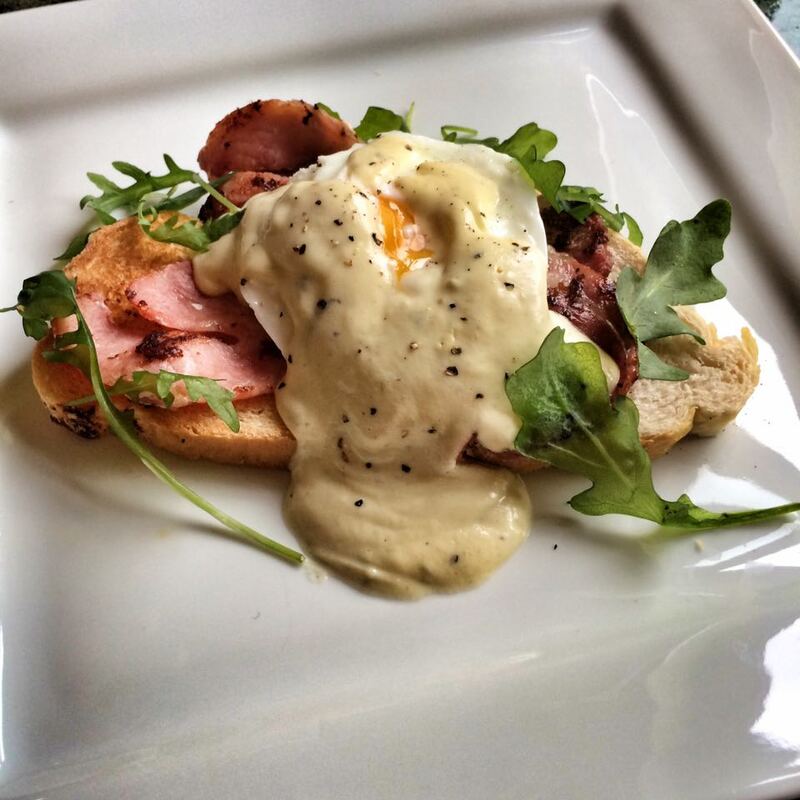 Granary toast, delicious bacon, poached egg, avocado, pesto dressing and hollandaise sauce, it was absolute heaven! However as nice as it was, I knew I couldn’t be indulging like this every weekend so I decided to make my own low propoint version of the dish. Knowing bacon and eggs aren’t too bad points wise, I knew it was the hollandaise I would have to take on. I experimented with a few different versions but the end result, as posted below was my favourite. The use of fat free yogurt and minimal butter means sauce still retains it creamy, glossy texture but makes the whole thing so much lighter than your regaular hollandaise. To up the flavour even more, I added a little basil pesto to the sauce however if you don’t fancy this you can replace it with dijon mustard. Pop a pan of water on a simmering boil on the hob and top with a bowl (making a ban marie styley look). To the bowl add beaten egg yolks, yogurt, butter and lemon juice, whisk and simmer for 10-15 minutes until the sauce starts to thicken. Take off the heat and add the pesto (or Dijon) and a good twist of salt and black pepper. Toast your bread, grill the bacon and poach the eggs. Arrange the toast on the bottom, bacon on top and poached egg on top of the bacon. Scatter the rocket/spinach across the plate and finish with the pesto hollandaise.